Eid-ul-Fitr 2013 Mubarak To Everyone! So, the Holy Month of Ramadan came and went by once again, and even as I write this, I wait for the final Iftaar (braking fast) of the month. The time of spiritual contemplation and reflection ends with this Iftaar, and the festivities begin! And this is what Eid-ul-Fitr is all about! Enjoying the successful passing of another Blessed month whereby the human spirit gets rejuvenated, and heads off with a fresh start. We would therefore like to include all of our beloved readers in the festivity, and we'd like to wish you all a very happy Eid Mubarak on behalf of me and the rest of the STCNetwork team! And to further this gesture, Mohammad Mustafa Ahmedzai of the STC Network is also appearing tonight on national Radio (FM Planet 94) to wish everyone a happy Eid, and to share his views regarding the youth, and the importance of entrepreneurship today. Eid-ul-Fitr is the biggest joyous occasion for Muslims, as they celebrate after a month of fasting. 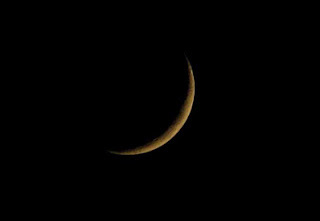 There's no fasting on the Eid day itself; indeed, fasting on this day is forbidden for Muslims, because it is a day reserved for celebrations. The day only involves a small prayer offering in the morning (along with the customary 5-times-a-day prayers), after which everyone goes to celebrate the occasion with their family, friends, and relatives. On a more serious note, the main purpose of Eid isn't just about celebrating the end of the Holy month. It is about sharing the happiness with others, especially those who are less privileged. The whole purpose of fasting to learn self-discipline, and to realize the sufferings of the poor. And if someone has not learned how the poor feel, and enjoys Eid without helping out a single person less privileged than him, then his month of Ramadan has really been a waste. Happy Ied Mubarak Ahmedzai and Qasim, and all MBT readers. Best regards from your brothers in Indonesia! Happy Eid Mubarak to Qasim Brother and Mustafa Brother.and every muslim. Guys, any updates about pagerank? 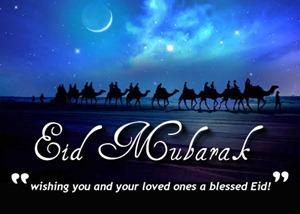 Eid Mubarak to all Muslim Brothers throughout the globe and most especially to all MBT readers. Eid Mubarak to you and your family and hope you enjoyed as well as Eid Mubarak to all of my Muslim Brothers by the core of heart. Friends Check out the page for some extra info!